The HyperCache feature is designed to enforce caching on the proxy in order to learn to the proxy that CDN contents are the same source. By default the proxy cache objects using the URL. Many websites or update websites such as Apple, IBM, microsoft use CDN servers in load-balance mode. In a standard way, the proxy will not cache the picture.png because the url change everytime. 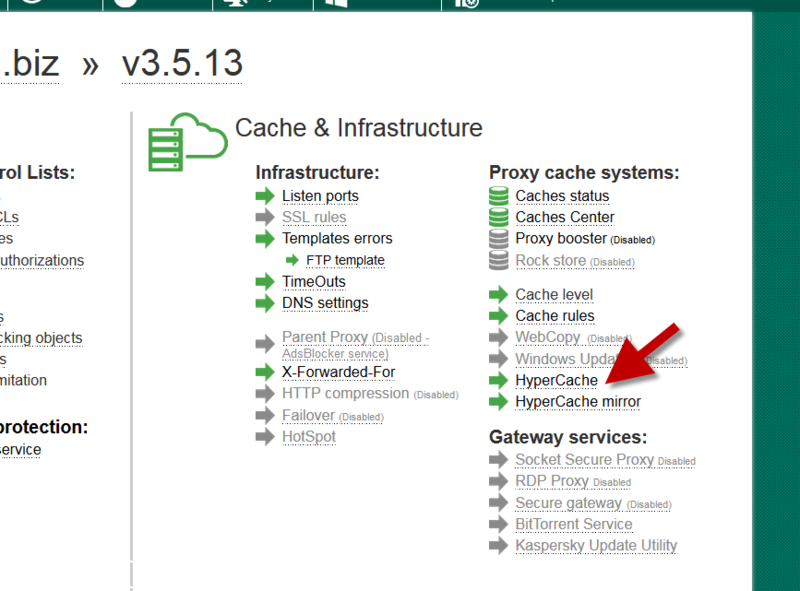 The Hypercache feature have 2 license models. The free one already included in the Artica license and the advanced one that require a specific license. The advanced is designed to include many patterns and is able to increase dramatically the cache rate. By default the HyperCache feature in free edition is enabled. 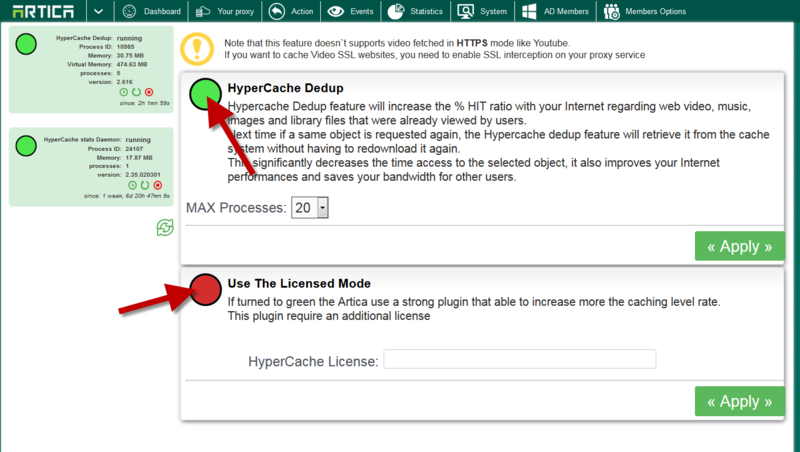 Turn to green the HyperCache Dedup will enable the HyperCache feature in Free edition. Turn to Green the “Use The Licensed mode” force using the commercial plugin according the license.